Chickadvisor has a new Product Review Club offer for La Roche-Posay Micellar Waters! Unless you've been living underneath a rock, you've already heard about Micellar Water cleansers and how they are a gentle yet incredibly effective alternative to other facial cleansing products, especially for sensitive skin. 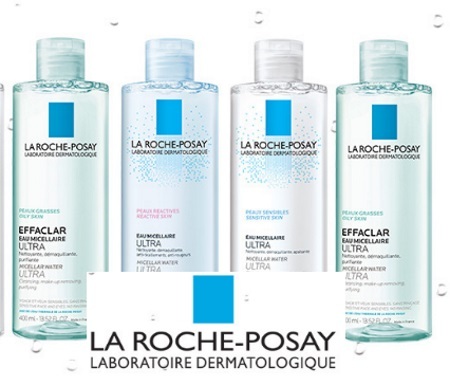 La Roche-Posay Ultra Micellar Water for Dry/Reactive Skin : tailored to dry, intolerant skin experiencing discomfort. Leaves skin feeling hydrated. Soothes and reduces redness and tightness. La Roche-Posay Ultra Micellar Water for Normal Skin : leaves the skin soft, comfortable and refreshed. La Roche-Posay Ultra Micellar Water for Oily Skin : leaves skin mattified and purified, with no shiny finish. Opportunity is open to residents of Canada through January 29, 2017. Selected advocates will be notified during the week of January 30, 2017. Not a Product Review Club member yet? It's free to join, sign up here.